Please note Indian Ragas on Piano occurred in past. 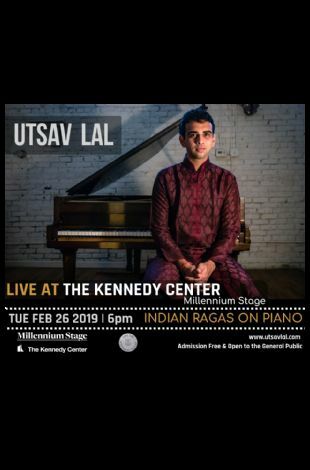 Delve into the soulful depths of Indian Ragas in a distinctive, unapologetically original take, on both the Piano and on Indian Classical Music, by creative pianist Utsav Lal. 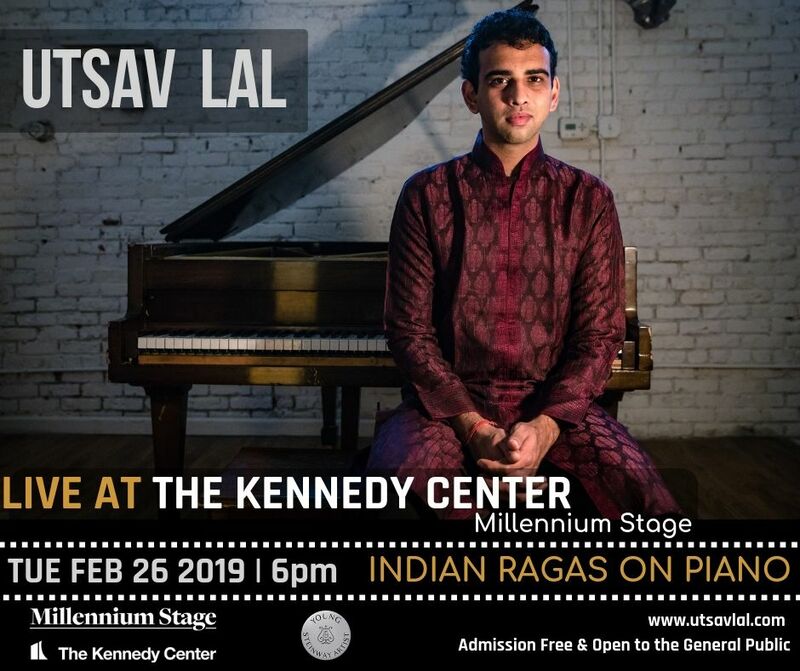 Young Steinway Artist, Indian pianist /composer UTSAV LAL, often known as the Raga Pianist' has set a precedent with his innovative handling of Indian Classical music. He is recognized for his raga music and creative vision as an innovator to go against the set tradition for both the Piano and Indian Classical Music. The 26 year classical & jazz pianist has an impressive career behind him including solo performances at global venues like Carnegie Hall, Southbank Centre, The John F Kennedy Center and extensive collaborative work with Irish, Scottish and Indian musicians. Utsav Lal has performed at Indian Classical, Jazz, Silent Film and World Music festivals, often being the first on the programming calendar of these festivals with his distinctively unique repertoire. Debut album release Piano Moods of Indian Ragas by Times Music (2008), Utsav now has five subsequent records available including a solo recording of ragas on the world's first ever 'Fluid Piano', released by the Fluid Piano Tuning label ( 2016). Utsav's unfailing clarity of technique and rhythmic virtuosity showcases itself in his rendition of ragas. An ABRSM and Yamaha Jazz scholar, Honors Bachelor in Jazz (RCS, Glasgow) and Masters in Contemporary Improvisation(NEC, Boston), Utsav explores his work on Indian Classical Music under the tutelage of Dhrupad maestro Ustad F Wasifuddin Dagar treading the careful line between an ancient tradition and the innate desire for innovation with utmost respect. The music is captivating with great range and variety in tempo, dynamics and emotion. Utsav draws on the depths of his diverse musical influences to explore ragas first slowly, note by note and gradually weaves in improvisations that climax in a fast rhythmic pattern to unfold the full power of the raga. The music has a powerful intensity that sweeps the audience into a transcendental journey and is known for its sincerity, simplicity and depth. "He breathes life into ebony & ivory, with a melody that leaves the listener mesmerized & transported into a different world" Hindustan Times, New Delhi.